Email forwarding refers to the operation of re-sending an email message delivered to one email address to a possibly different email address(es). 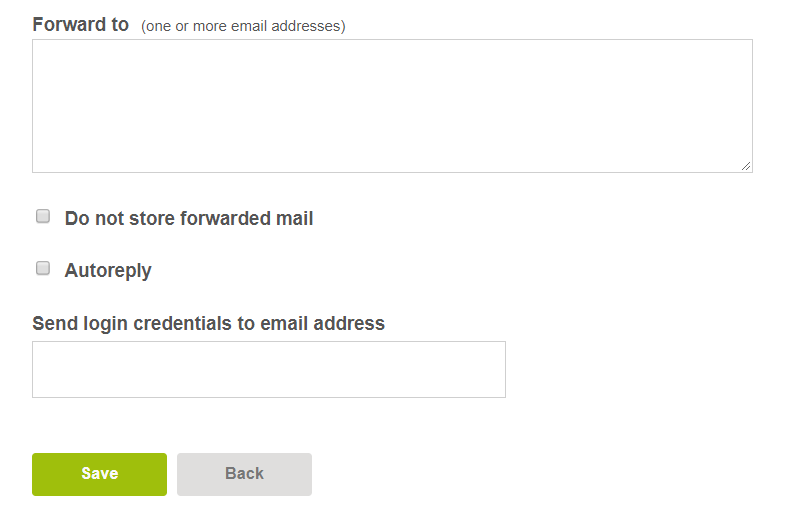 You can use set up email forwarders through your control panel. Navigate to the Mail section. Select the domain and click ‘List Accounts’. Enter the emails addresses you want to forward the mail to. You can enter several addresses. Make sure each address is on a new line. Email addresses do not need to be in the same domain. You can also check ‘Do not store forwarded mail’ if you do not wish to keep the emails being forwarded.